40 year old bloke born in London, raised in Belfast and now living in Stockholm after stints of various durations in Southampton, London, Paris, Brussels, Dublin and Uppsala. 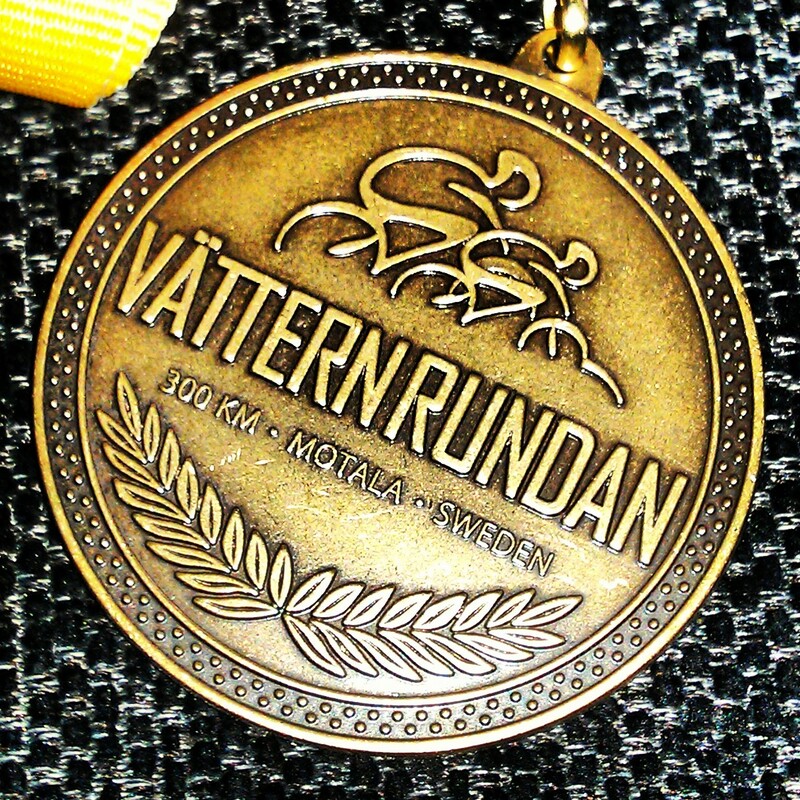 Vätternrundan 2014: Part 8: It’s all over! Sorry this took so long. To be honest I thought I’d posted it but apparently not. Remember those sore feet I had in Karlsborg? Well I thought it was because of the stiff bike shoes. It ended up being a splinter that I’d stood on and jammed into my foot just where I press down on the pedals. If I’d looked at it then I’d have been able to solve it straight away. How annoying is that? Well, quite a lot actually. Firstly, that 300 kilometers on a bike is not as hard as you might think as long as you have done the prep work. Anyone who goes into it thinking it’ll be easy is either mad, stupid or a Team Sky rider (and even they don’t usually ride that far in one go!). They say to do 1000 kilometers training if you want to make it round Vättern, 2000 if you want to do it comfortably and 3000 if you want to do it fast. Those numbers are pretty accurate I’d say! I did about 2800 and still had to dig deep when my energy hit rock bottom. Join a bike club. They can help you with training, to find a team and, most importantly, they get priority placing when registration opens. Sure, you have to pay a little more but at least you are freed from the wild scramble to get a place. Vätternrundan fills up in minutes and a lot of people are left disappointed! 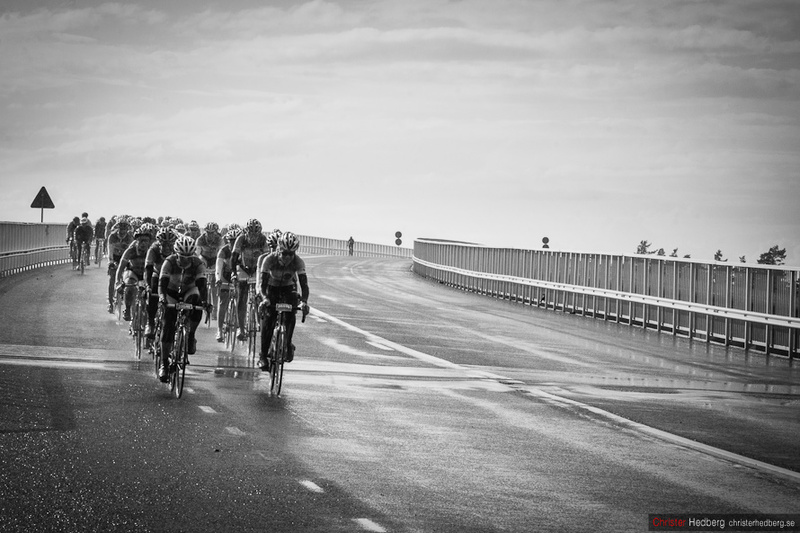 Cycle as part of a team. Having friends all around you to push you along and keep you going when things get hard is the best thing you can possibly have. I know at least two members of my team would have quit if the rest if us had not been there encouraging them. Set a goal. But remember that it doesn’t matter if you don’t achieve your goal. 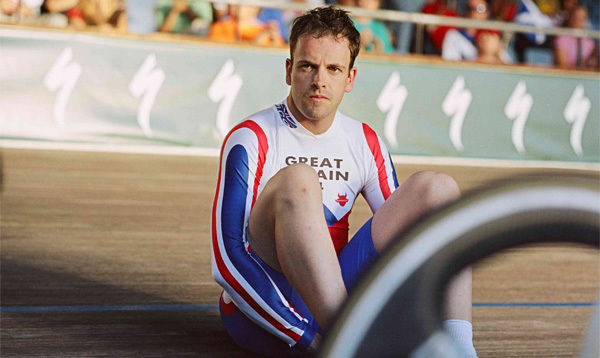 Just getting round is a pretty bloody major achievement in itself. It’s more important to enjoy yourself and have a good time than to eat some time limit that nobody cares about except you. Make sure you know how to fix a puncture. It might sound stupid but you’d be amazed how many people we passed waiting for service cars to come and fixed punctured tyres! You’ll ruin any chance of beating your goal time but, more importantly, you’ll get cold and stiff waiting around. Better to fix it yourself and get on your way again. The right bike for you is better than the wrong bike with a flashy label on it. You’re ten times better off having a bike nobody has heard of but that fits you than a Specialized carbon fibre wonderbike that is way too big or small. The people who make fun of you for spending so much time training and grinding yourself down are mostly just jealous because they are too lazy to get off their butts and do it themselves. You cross the line saying, “Never again.” A few weeks later you’re thinking, “When does the registration for Vätternrundan open?” I won’t be doing it next year but I will be back some day! Why am I not going back next year? Well mainly because my wife would kill me but also because my job are entering teams in Halvvättern and I want to be part of that. Even doing Halvvättern without practicing with the people you will cycle with is just a bad idea. That’s it. 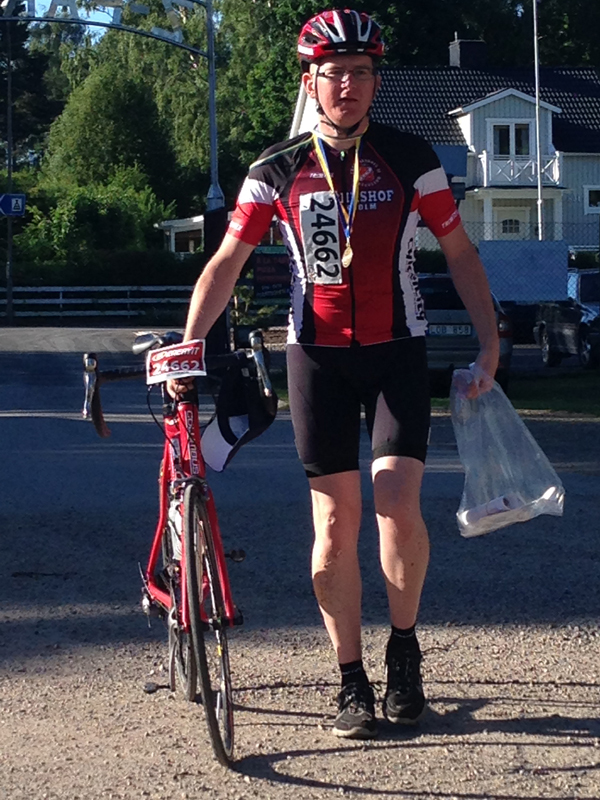 My Vätternrundan 2014 adventure is over. I’ve also completed Vansbrosimmet and will run Lidingöloppet on Saturday. 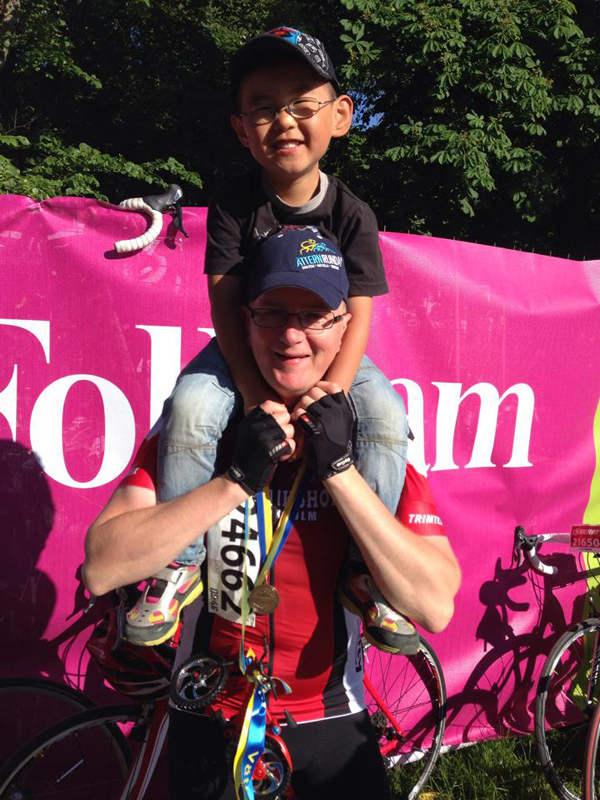 Posted on July 24, 2014 July 16, 2015 Author AndrewCategories Events, Road Cycling, StoriesTags halvvättern, ride report, vätternrundan, vätternrundan 2014Leave a comment on Vätternrundan 2014: Part 8: It’s all over! 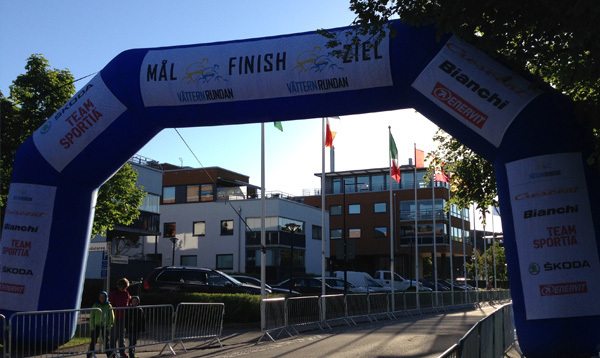 Every year Motala hosts Cycle Week, a whole week dedicated biking and home to various cycle races ranging from 1300m for 6-7 year old kids, up to the blue riband 300km race around the whole lake. My mother-in-law always rides Tjejvättern, a 100km race for women only. She’s in no way competitive and takes her sweet time about getting round to get the most for her entry fee. This year we decided to head down to Motala a week early to check things out, get all the last minute bits and pieces I needed and then wave her across the finish line. The whole town really gets behind the event. All the taxis get fitted with bike racks, the town centre is blocked to all traffic except buses and official vehicles and stalls pop up all over the places selling everything you could possibly need at some very knocked down prices. I’d already bought most of what I needed but a last minute puncture left me needing some new inner tubes. Two Continental tubes for 200SEK, not bad. I also picked up some Grip Grab gloves for 150SEK and a Bianchi foot pump for 349SEK. I also sorted out my food needs by buying the Enervit Vätternrundan “loader” and race packages. With that all done we cheered on my mother-in-law then headed back to Stockholm for the final training session. One week later and we had the car packed up and were on our way back to Motala. Everyone arrived in time. A few people had forgotten things. One guy forgot his sunglasses, I forgot to put on sun screen and so on but nothing major. The time flew by and soon we were ready for the start of our 300km adventure. There were lots of Fredrikshof groups and most started around the same time. Every two minutes about 70 cyclists headed over the line. At 0546 it was our turn. Next time we’ll see how it went on the first part of the race. My main reason for getting back on my bike a year ago was that I have decided to try and complete the Svenskklassiker race series. I did Halvklassikern three years ago and the cycling was by far the hardest part, so I started with the cycling this time. 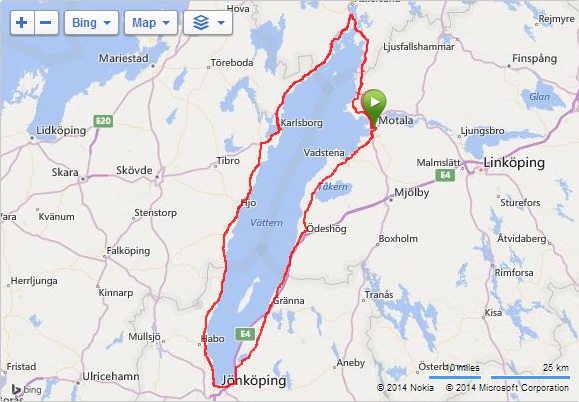 That meant tackling Vätternrundan, a 300km bike ride around Sweden’s second largest lake. 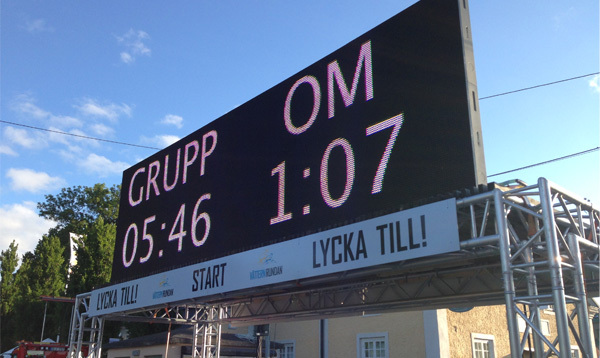 I figured that I would never make it round on my own so I signed up for Fredrikshof’s sub-12 group. 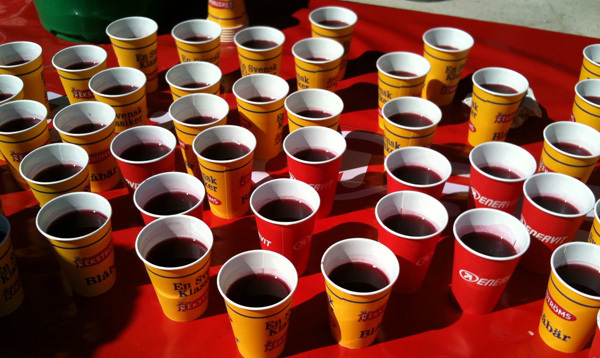 Put simply, this meant that our goal was to get round the course in a total time under 12 hours. Not a bad challenge considering that most people take 14+ hours. There were 11 in the team ranging from total noobs like me to very experienced guys who have done VR in sub-9 groups. 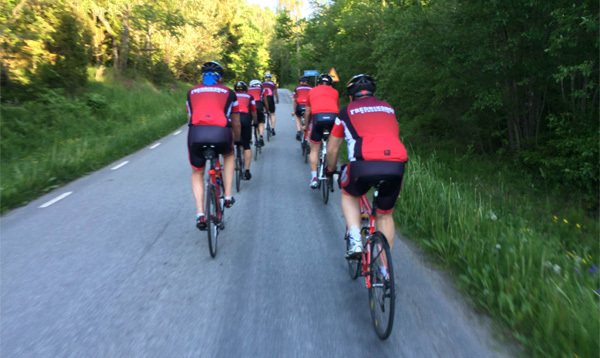 We met up most Tuesdays and Thursdays through March, April and May for 50-60km rides around the Märsta / Arlanda area. These usually took us about 2 hours. We’d then meet up on the weekend and do anything from 50 up to 170km. The one big struggle we had was synchronising everyone’s real life commitments with the training sessions so we never managed to get the whole group together at one time. 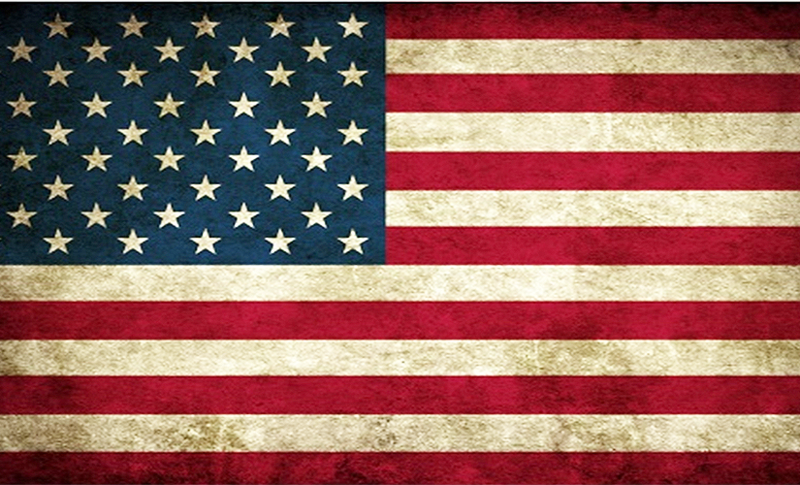 There was a core of five or six who came regularly and the rest came as they were able. Fortunately we had a great team leader who knew exactly what we needed to be doing to be ready in time.